Funnel Cakes are simple to make and so tasty! 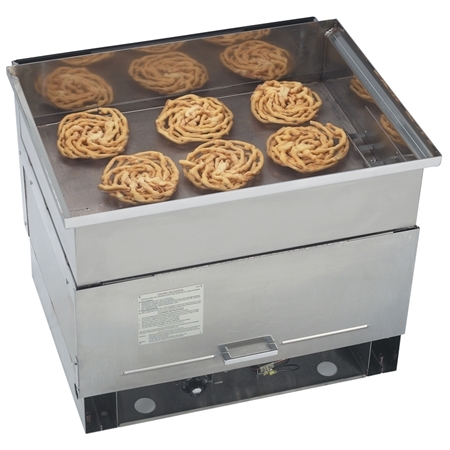 Gold medal has a wide range of gas and electric funnel cake fryers, in varying capacities, to suit the needs of any location. 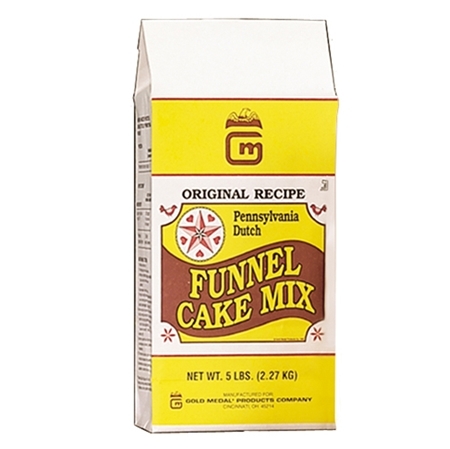 Preparing Pennsylvania Dutch Funnel Cakes is a breeze thanks to Funnel Cake Rings with Mold Plates in 6" or 8" sizes and the specially designed pouring pitchers. Pour, Fry, and Sprinkle with powdered sugar and you have a treat for any time of day.